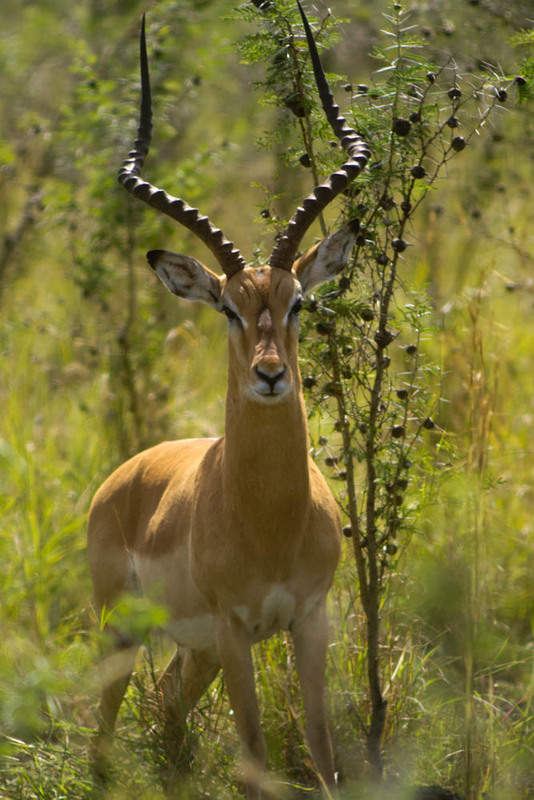 I took a few hours off today and visited Ruma National Park, home of the last of the roan antelope, along with zebras, black and white rhinos, leopards and a number of other animal species. It was renamed “Ruma” upon request of the local community. The area had been so named by one of Kenya’s most powerful wizard, the much feared Gor Mahia who lived around the park. The park is largely of black cotton soil with surrounding area settled with a mix of small scale cultivation and grassy pasture land. Gor Mahia is a legendary Luo figure, who even has a book written about him. Without much else to say outside of complaining about the heat, I leave a few pictures. Figured you’d be into that. No lions, etc. I’m on a budget! Impalas are awesome. Can’t wait to see one outside of a wildlife park.